Immediately follow surgery and until you stop bleeding, there will gauze packs over the surgical sites. You can bite gently on these in order to keep them in place. After the first hour, you can begin changing out the pads for clean ones every 30 to 45 minutes. Take care not to disturb the surgical sites, which will be tender for a few days. Do not touch the sites and don’t smoke, because smoking hinders the healing process. It is important to keep you mouth clean as you recover. Your dentist in Harrisburg will likely prescribe a medicated rinse to reduce bacteria in your mouth and promote healing. About 24 hours after surgery, you can begin rinsing with saltwater as long as the bleeding has stopped or greatly reduced. Mix one tablespoon of salt with eight ounces of lukewarm water. Gently rinse and then don’t spit, but instead let the water run out of your mouth. Do this two or three times a day. For the first couple of day after surgery for All-on-4, just rest in bed or on the couch. Don’t exercise, lift heavy objects or bend over. All of these activities could cause more bleeding. Be sure to get up slowly if you’ve been lying down so you don’t get lightheaded. Bleeding. If bleeding won’t stop, try repositioning the gauze pads. If that doesn’t work, bite down on a moistened bag of black tea for half an hour. Also, sit upright, avoid physical activity and put ice packs on your cheek near the surgical site. Swelling. You can expect some swelling after oral surgery, and it won’t climax until about two or three days after your procedure. Use an ice pack on your cheek—20 minutes on, then 20 minutes off—for the first 24 hours. Pain. The best way to avoid pain after surgery is to stay one step ahead of it. Take the pain medication the dentist prescribes according to directions and on time. Diet. Stick to a diet of soft foods and liquids for the first few days after surgery. And try to avoid foods that are hard or hot until sensation returns to your tongue. Pureed foods are ideal, because they are soft and nutritious. If you’re recovering from having dental implants in Harrisburg and you have a question or concern, please call a dentist who will be glad to see you at a follow-up visit if necessary. Dr. Gary M. Klein currently practices at Klein Family Dentistry, where he takes pride in offering placement and restoration of dental implants all under one roof. 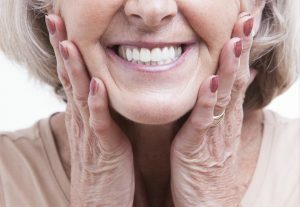 He believes implants are the best way to replace missing teeth because of the health benefits they bring and their longevity. For any questions, he can be contacted through his website or by phone at (717) 974-3487.